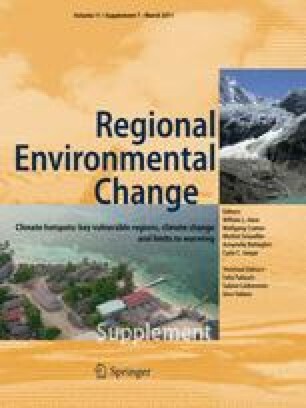 Natural ecosystems are generally considered to be one of the most vulnerable sectors to negative impacts from rapid climate change. Australia’s rich biodiversity is already under considerable threat from multiple human impacts, and climate change will impose additional stress. Opportunities for most Australian species to adapt to climate change by altering their distribution will be limited due to a number of characteristics of the Australian environment, both physical and biotic, including topography, habitat fragmentation, low capacity for dispersal and the restricted geographic ranges of many species. This review summarizes recent and projected climate trends in Australia and discusses how species may respond to these changes in the context of the particular environmental characteristics and biogeographic history of the continent. It also identifies particular regions and ecosystems likely to be most negatively affected in the short to medium term.